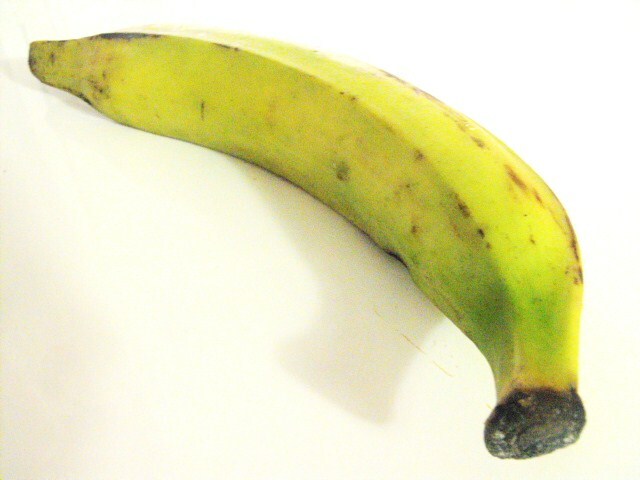 Plantains. I’m told the blacker, the sweeter, which makes sense. 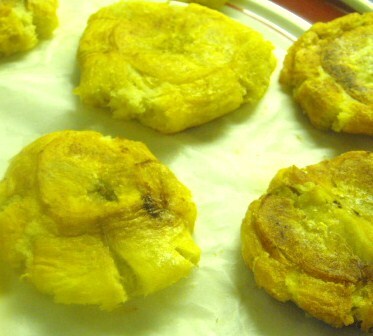 Peel plantain and slice in 1 to 2 inch sections. 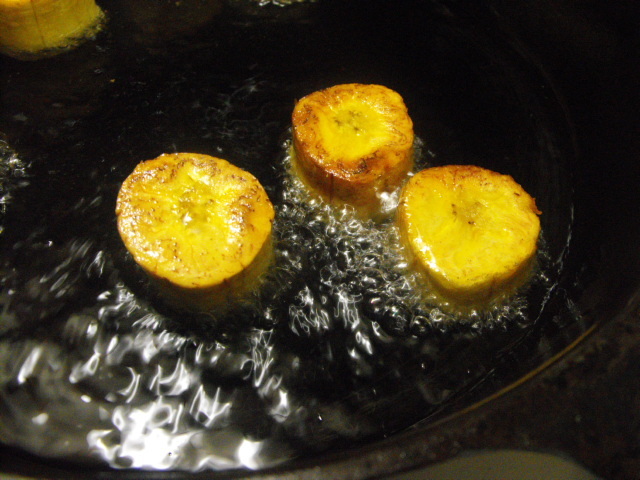 Fry in 1″ of oil over medium to high heat for 3 to 4 minutes each side. Remove from oil and drain on absorbent paper until they are cool enough to handle. 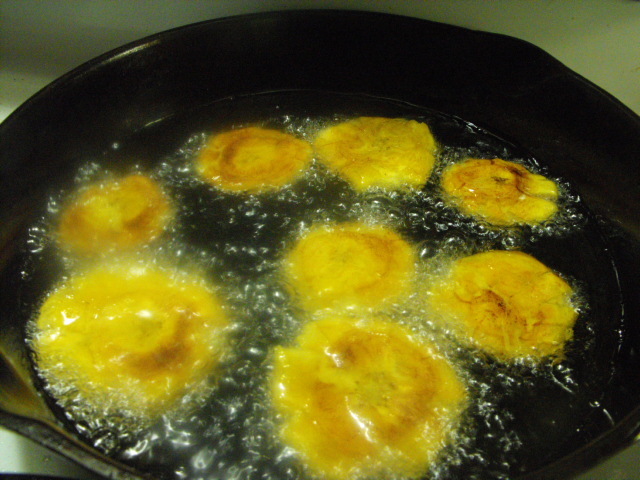 Mash plantain sections into patties. Refry in the hot oil for another 3 minutes or so per side or until they are as golden brown as you like. 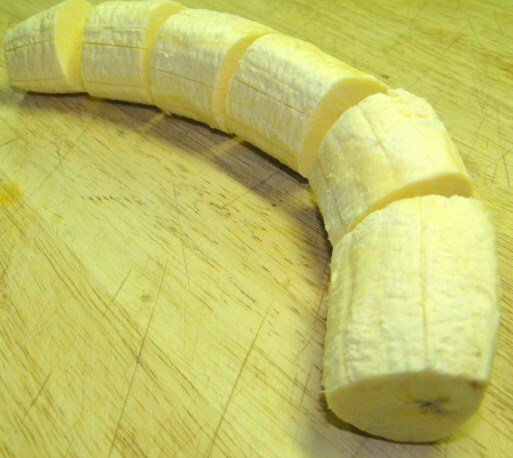 Drain on paper and serve hot. Salt them at this time if you like. For a delicious appetizer, or as an accompaniment to Thai food, dip them in Easy Thai Peanut Sauce.